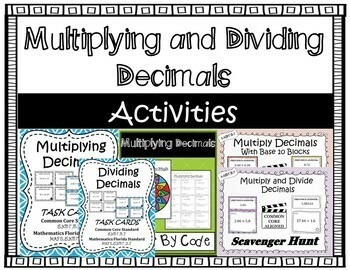 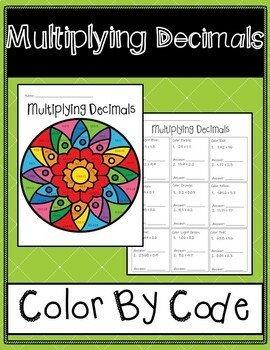 Five multiplying and dividing decimal activities, perfect for student practice. 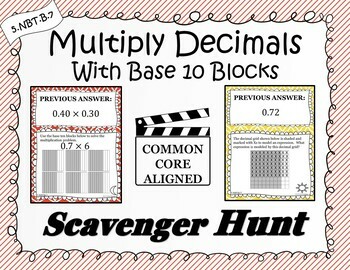 Activities include multiplication of decimals task cards (can be used for scoot), division of decimals task cards (can be used for scoot), multiplying and dividing decimals scavenger hunt, multiplying decimals with base 10 blocks scavenger hunt, and multiplication color by code. 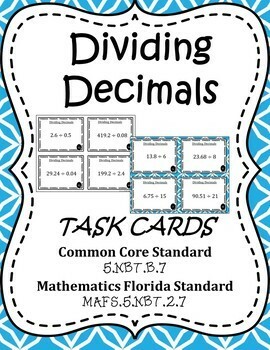 Each activity will help students master multiplying and dividing decimals.